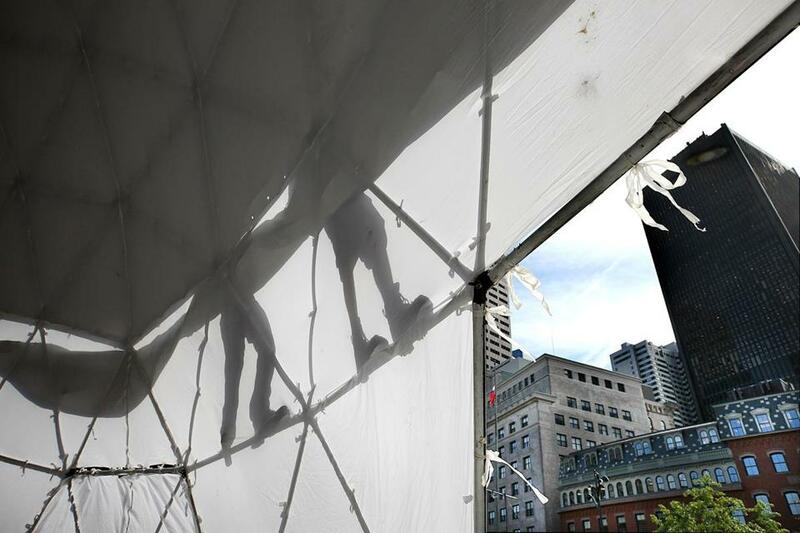 Some of the biggest names in technology, business, science, and the arts gather in Boston this week as the HUBweek festival returns for its third year, its organizers hoping to solidify the event’s foundation as a civic staple. The wide-ranging festival features some 175 events over six days, with high-profile speakers, a documentary film series, and town hall-style discussions on issues affecting Boston and beyond. “Our dream is that this becomes almost like the Boston Marathon, something to where the city feels a sense of ownership over it,” said Linda Pizzuti Henry, chairwoman of the HUBweek board and managing director of The Boston Globe. Since the festival was launched in 2015, participation has grown steadily. About 180 organizations are taking part this year, up from 130 last year and 70 in 2015. And after drawing roughly 20,000 registered attendees each of the past two years, organizers are expecting 50,000 attendees this year. 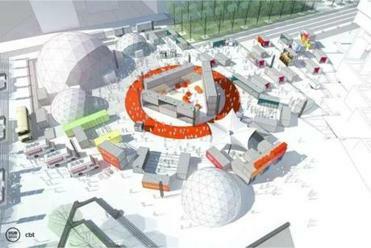 HUBweek was founded by The Boston Globe, Harvard University, Massachusetts General Hospital, and Massachusetts Institute of Technology. While this year’s version — which runs from Tuesday through Sunday at a variety of locations — is set to include a range of new offerings, the most significant change will be the geographic layout, as organizers made a point to establish a centralized hub on City Hall Plaza. 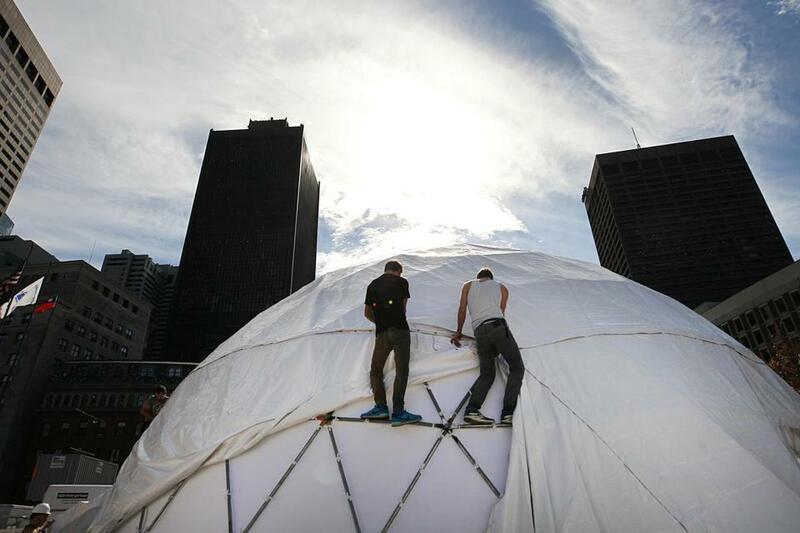 HUBweek got under way with the building of the giant domes on City Hall Plaza. As for programming, many of the festival’s core offerings will return. The GlobeDocs Film Festival, a five-day event focused on documentary filmmaking, marks its third year as part of HUBweek. And as in years past, there will be plenty of high-profile guests, particularly during the Future Forum, a collection of sessions and speakers from Thursday through Saturday. On Friday, Abigail Johnson, chief executive of Fidelity Investments, and Michael Bloomberg, the Bloomberg LP founder and former New York City mayor, will take part in a discussion on the state of innovation. Eric Schmidt, executive chairman of Google’s parent company, Alphabet, will speak Thursday. And author Malcolm Gladwell will hold a discussion with surgeon and fellow New Yorker writer Atul Gawande during a Friday session. Among the other notable speakers will be wellness author Deepak Chopra, CNN commentator and political contributor Van Jones, Bank of America vice chairman Anne Finucane, and former US secretary of state John Kerry. As organizers aim to grow HUBweek into a signature Boston event — what South by Southwest is to Austin, Texas, for instance — there has also been a focus on interactive events. Nightly parties will be held at the Hub on City Hall Plaza. During Saturday’s Demo Day, Boston-affiliated startups will be vying for $150,000 in cash and in-kind prizes as they present their work. And nearly two-dozen robots will take to City Hall Plaza next Sunday for a robot “block party” showcasing the area’s latest in robotics. Many of the events are free, though some, including the Future Forum, require a paid pass. This year’s event also comes at an interesting time, as the country — and various tech giants — ponders questions over net neutrality, privacy, and security. Facebook, Google, and Twitter were recently asked to testify in front of Congress, for instance, as part of a probe into election interference — a topic that will likely provide plenty of fodder for the festival’s various tech-industry speakers. “I think the biggest challenge in this day and age is how much authority do you want to give the government to have access to information, in an age in which we know that that access can be abused, but we know that that access can also protect us,” says international security expert Juliette Kayyem, who will take part in a Future Forum panel on technology. As organizers made final preparations, they spoke about the potential for the festival’s third iteration — though, as Ryan pointed out, coordinating an event with some of the nation’s most innovative thinkers isn’t necessarily great for one’s self-confidence. 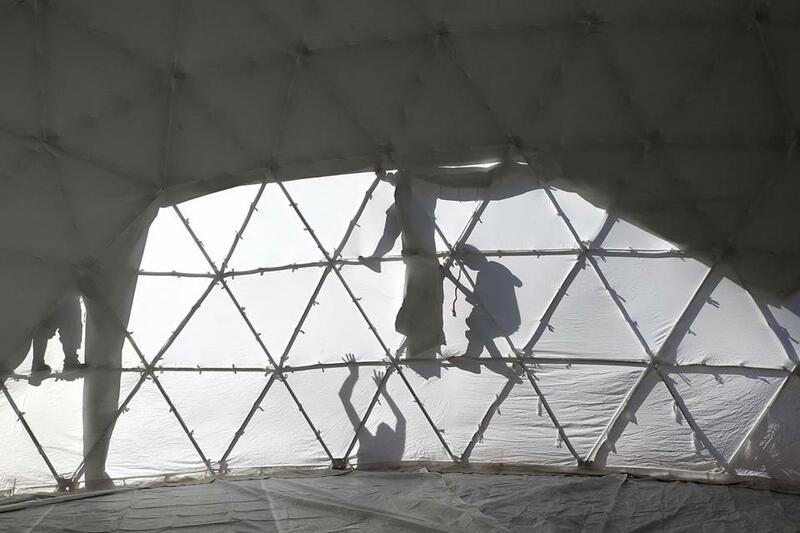 Workers installed a geodesic dome.